Jared and Gen. . Wallpaper and background images in the Jared Padalecki & Genevieve Cortese club tagged: genevieve jared padalecki. 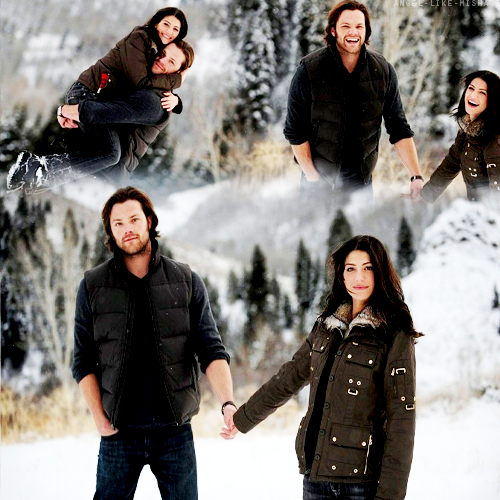 This Jared Padalecki & Genevieve Cortese fan art contains トボガン, ソリ, イグルー, iglu, イグル, 雪だまり, 雪バンク, スノーバンク, 雪, and 雪の銀行. There might also be スキーリゾート, スキー リゾート, そり滑り, そり, and アルピニスト.